New sign at Drake Field in Peachtree City. Photo/Ben Nelms. A unanimous vote by the Peachtree City Council on Jan. 17 resulted in the requirement to have dogs leashed at Drake Field. The motion to eliminate the voice command portion of the city’s ordinance that previously allowed owner’s at Drake Field to have their dogs unleashed passed on a unanimous vote. The agenda item, prior to the vote, had 19 speakers weighing-in on the issue, with nearly all opposed to the measure. Councilman Phil Prebor in his comments said he could not agree with allowing dogs off-leash at Drake Field, given the large number of people who currently use the park space. 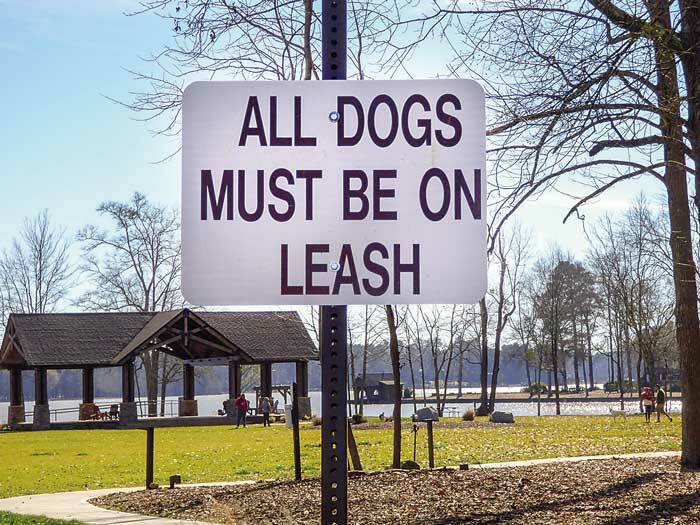 Prebor did agree with the public comments that suggested a compromise, such as designating specific times or days for off-leash dogs to be allowed at locations such as Drake Field or Spyglass Park, located on the east side of Lake Peachtree. Also commenting on the issue was Councilman Mike King, who said there is a serious difference in the voice control of a dog when at home compared to when in public. “I can’t see off-leash at Drake Field because we tried it and it didn’t work,” King said, referencing earlier comments by city staff. Councilman Terry Ernst in his comments said he is a longtime dog owner whose dogs have never been off-leash. Responding to the previous comments of a resident who said she could not let her dog swim in Lake McIntosh because it is a drinking water reservoir, Ernst noted that, while not being used as such currently, Lake Peachtree is also a drinking water reservoir. Councilman Kevin Madden in his remarks noted that the issue is an emotional one, given that dogs essentially become family members. Yet the issue boils down to a dog responding to a voice command by the owner. Madden said he recently visited the city’s dog park and spoke with the owners present. Madden said the city must act on behalf of the health and safety of all citizens. Nearly all of the 19 audience members speaking on the issue prior to the vote were opposed to moving to an on-leash requirement. Kristen Smith was one of several in the audience to suggest that some sort of compromise be reached. “Perhaps off-leash could be done at another location,” said Smith, noting the preference to find a way to compromise on behalf of the dog owners who appreciate being able to let their dogs run free. Another speaker was Jordan McBride, who described himself as a life-long resident of Peachtree City. “Drake Field means so much to my family,” he said, noting the positive interactions he sees at the park. Another resident, Billy Adams, was another of the several to proposed a compromise. “No matter what you decide, there will still be complaints,” Adams said. The desire to find a way to compromise, at least for a number of speakers, dealt with ability for their dogs to use Drake Field as an entry point to swim in Lake Peachtree. Others spoke of the “community” of dog owners using the park and their willingness to help maintain a positive environment at Drake Field while having their dogs off-leash. Prior to the vote and providing a history of the leash requirements, City Clerk Betsy Tyler said that in 1970, the council required a leash or immediate control of a dog on the private property of another and on public streets and public property. In 1992, voice command language was added to the animal control ordinance. The city in 2010 eliminated voice control of dogs on paths to mirror the county ordinance, and with the stipulations that voice command was added as an option at Drake Field so that dogs could swim in Lake Peachtree, and that the council would review the voice control option as needed. The 2010 ordinance amendment noted that voice commands at Drake Field would not suffice during city events. Unlike in many of the previous years, Drake Field today is the premier passive park in the city, Tyler said. City Manager Jon Rorie on Dec. 28 added the sign requiring that dogs be on-leash at Drake Field, thus nullifying the prior ability to control a dog by voice command. 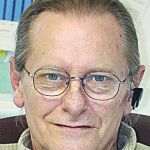 That decision, one that the council took up at the Jan. 17 meeting, came after a person using the park was bitten on Dec. 27 and after Rorie received a mid-December letter from a veterinarian noting issues he observed, such as a dogs ignoring voice commands, and questioning why dogs were allowed to be off-leash in the park. The veterinarian’s letter included the signatures of a dozen vets recommending that the voice command portion of the ordinance be eliminated at Drake Field. By the month of December, Tyler said not all park users were not following the voice command and many were not cleaning up after their dogs. Additionally, many of those using the park do not have dogs and some have expressed fear of uncontrolled dogs that are off-leash, Tyler said. Tyler noted a bite incident at the park in 2012 that required 30 stitches and, during 2012-2018, policed received seven calls with dog issues at the park. And in fall 2018, Tyler said a contractor had to climb onto the roof of the storage building to avoid a possible attack by a large, pit bull/mastiff running toward him and ignoring the owner’s voice command. Tyler cited yet another issues on Christmas day when the person was confronted by a large dog that attempted to jump on him and responded to little or no voice control by the owner. Tyler said the complaints received in December 2018, and based on history, equaled three years’ worth of complaints. Next articleMarching in honor of Dr. Martin Luther King, Jr. Dogs should never be off a leash in public. Dogs are animals and that makes them unpredictable. I have encountered to many people on our path system who violate the law and allow their dogs to be off a leash and tell me that they have complete control over their animal but yet the dog is still trying to get near me or a member of my family.